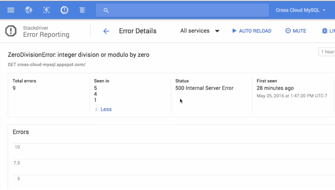 arrow_forward Use IntelliJ with Google Cloud Tools Plugins to add Google Cloud API libraries and deploy to App Engine. 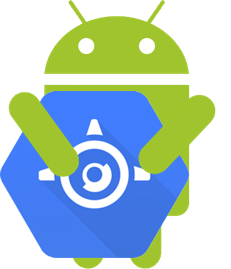 Quickly develop autoscaling backends to do the work for your Android applications. 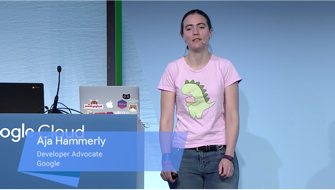 Learn how to build an application on Spring Boot, Spark, and Ktor. Integrate your applications with MySQL using Cloud SQL. 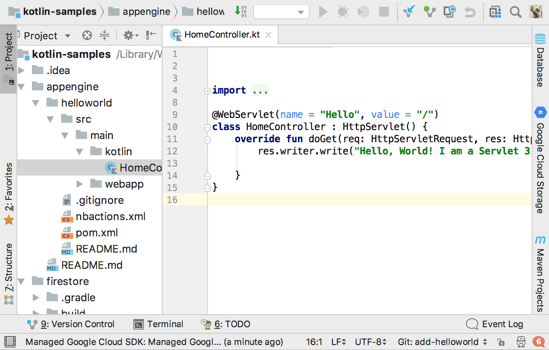 Build your applications in Kotlin using Google Cloud APIs and services. In the Cloud Platform Console, go to the Manage resources page and select or create a new project. Enable the Cloud Storage API. 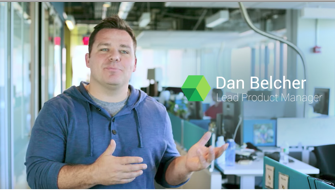 Enable the Cloud Natural Language API. // Set up the Cloud Vision API request. // Call the Cloud Vision API and perform label detection on the image. // Print the label annotations for the first response. // Fetch the document reference and data object. Got something to say? Join our community to ask questions, or just chat with the experts at Google who help build Kotlin for Google Cloud Platform.